Today was a glorious spring day in Penarth, near Cardiff. 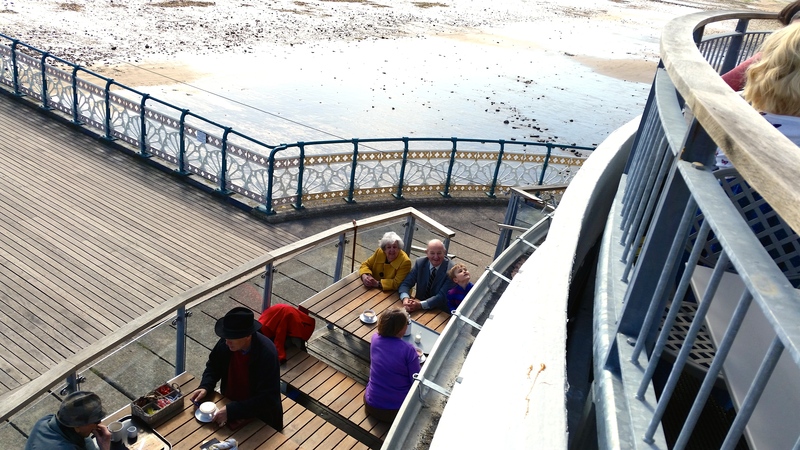 The newly restored pier pavilion looked magnificent, and we had a family outing to the lovely cafe at the pavilion. I wrote three years ago about the lottery win that made possible the pavilion’s rebirth. Mum and Dad live on the seafront, and we have loved waking up to the view of the pier in all weathers and seasons. But this piece of 1930s art deco seaside architecture had fallen on hard times. A tatty bar at the end of the building closed years ago, leaving just memories and dreams of what might be. Today, we saw how successfully those dreams had been fulfilled. 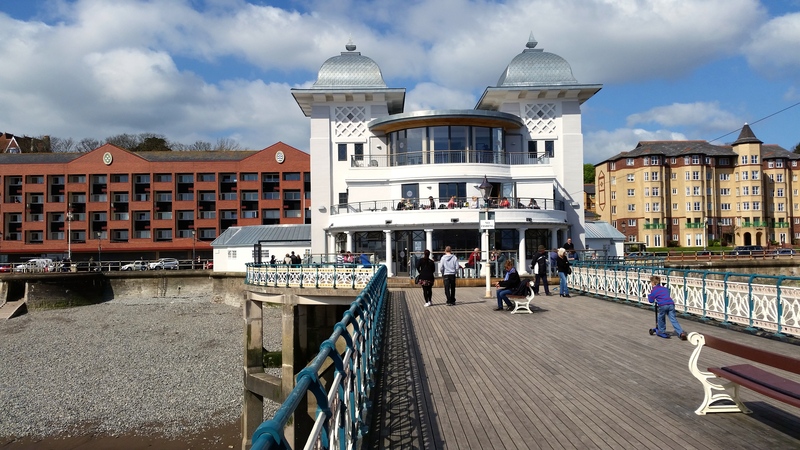 We loved our tea in the sunshine – and would have indulged ourselves with the delicious looking breakfasts and wraps had we not been going to Penarth Yacht Club for lunch! Finally, I loved the sight of the cyclist enjoying a shingly Sunday ride. 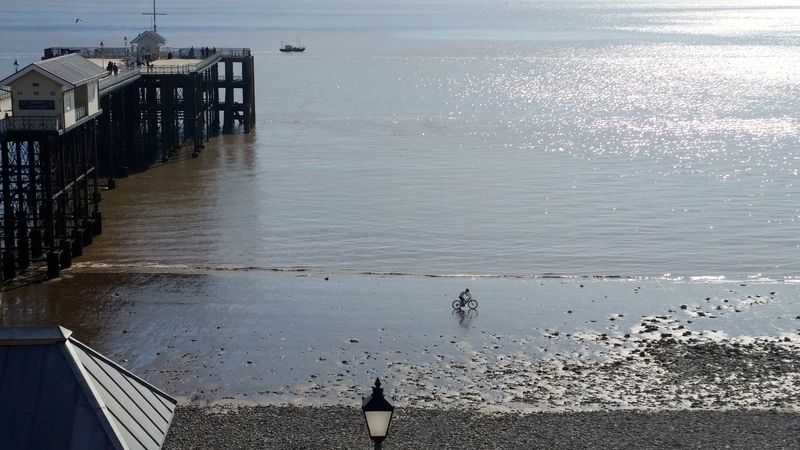 This entry was posted in Wales and tagged Penarth, Pier by Rob Skinner. Bookmark the permalink.